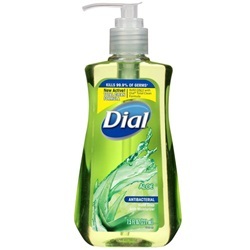 Dial liquid antibacterial soap with aloe in a 7.5 oz. pump bottle. Active ingredient is BZK (Benzalkonium Chloride) 0.13%. Green colored and scented. 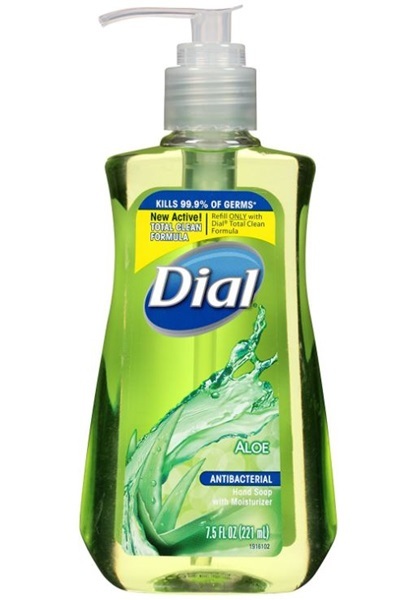 Manufactured by Dial Corporation. Comes as singles.